Pak Alec crushing bark in preparation of poison. 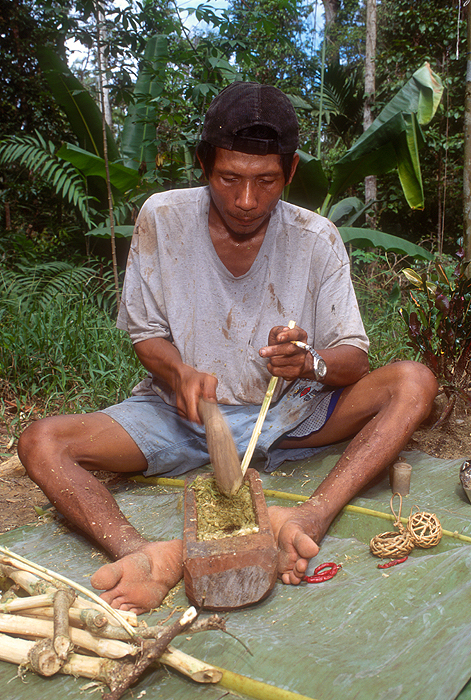 Caption: Pak Alec crushing bark in preparation of poison. Comments: Complete series of images documenting the preparation of poison for use in local hunting. From gathering of ingredients to the firing of poisoned tipped arrows.